Home News Yabatech: ASUP strike does not affect Part-Time Programmes. Yabatech: ASUP strike does not affect Part-Time Programmes. 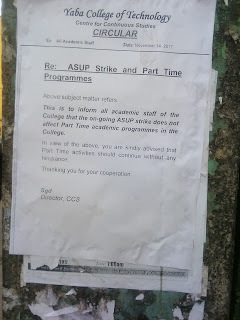 Following the nationwide strike by the Academic Staff Union of Polytechnic(ASUP), the sect have on Tuesday, 14th November, on a circular, say it does not affect Part-Time Programmes. 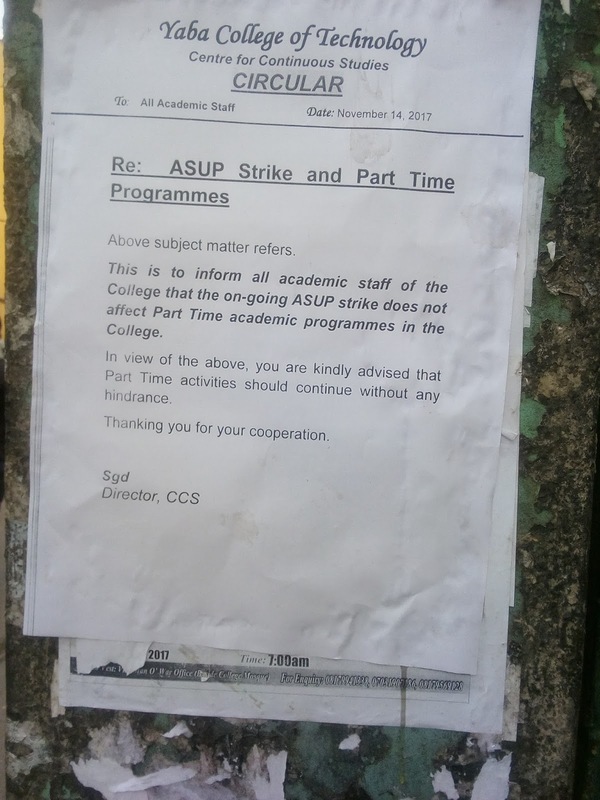 This is to inform all academic staff of the college that the ongoing ASUP strike does not affect Part Time academic programmes in the college. In view of the above you are kindly advised that Part Time activities should continue without any hindrance. Thanking you for you cooperation.